Beginning Wednesday August 8th all representatives will be invited to switch from the current YourAvon website for managing their business to YourAvon 2.0. Some groups of Representatives such as those who are brand new and are just placing their first order will see YourAvon 2.0 automatically. Established Representatives will be able to choose if you would like to switch now, or wait until the overall switch in October. 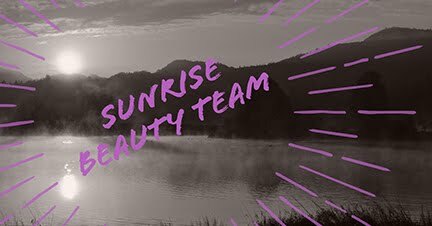 We recorded a tour of the new website as a Facebook Live in the Sunrise Beauty Team Facebook group. (Join the Group Here) and I encourage you to watch that to get familiar with the new site. There are two things you will want to keep in mind during the transition. 1. Any orders in your order cart on the old version of the site will not carry over to 2.0 so you will want to submit those orders, or write them down / print them out before making the switch so you can re-enter them on the new site. 2. If you are currently receiving orders from the Pasadena warehouse, you will begin receiving orders from the Zanesville, OH facility. The turnaround time from when you place your order to when you receive it will likely be longer. For most of the Western US, where many of us are located, will have a 5 business day turnaround. You'll want to take a look at your calendar and determine if you want to make any changes to your order submission date or the days you deliver to customers. Of course with Flexible Ordering you are in control and can decide which day in the 2 week order window for the campaign works best for you and your customers.